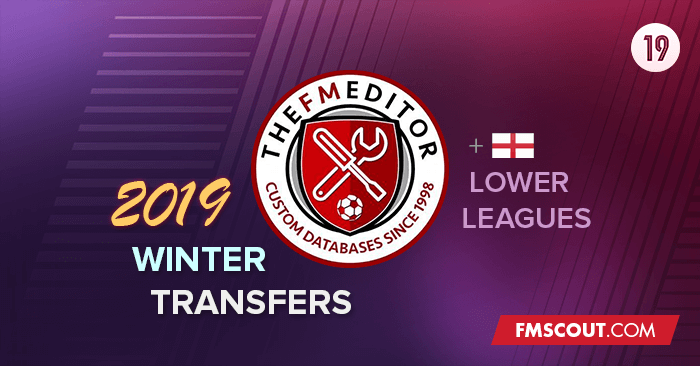 New data update for Football Manager 2019, including world transfers & unlocks the English Lower Leagues. Changes all around the world. Thank you for the support. Any problems or anything i have missed please let me know. Run Football Manager 2019 and start new save with this database enabled. If you want to play in the English lower leagues, it's highly recommended to disable "Do not Add Key Staff" and enable "Add Players to Playable Teams" in advanced options. And also load all players from England using the Advanced... Database Size options.